What's on Netflix > Netflix News > Is Seasons 1 & 2 of Designated Survivor on Netflix? ABC’s new political drama comes at a time when the real-life political climate is just as eventful or more so than the series, to say the least. 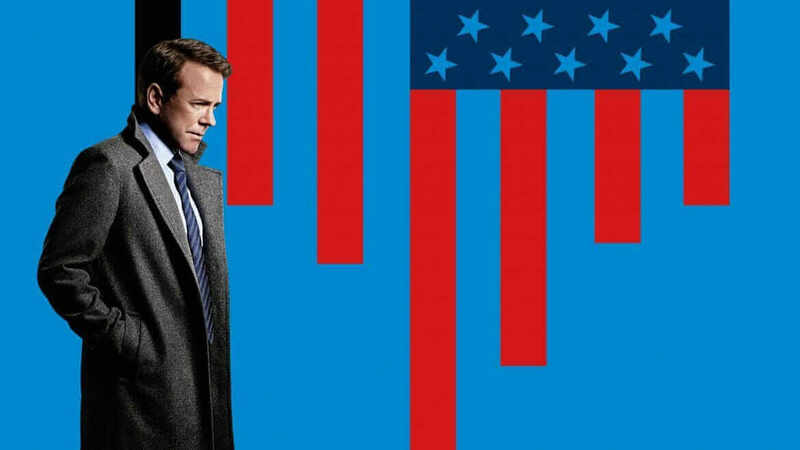 The series that stars Kiefer Sutherland (24, The Lost Boys) is about how his character becomes president of the United States after the actual president is murdered. Since its initial airing, the series has been subject to high ratings and great reviews from viewers and critics alike. Is Season 1 of Designated Survivor on Netflix? Depending on where in the world you reside depends on whether you’re streaming Designated Survivor at the moment. Netflix has managed to secure exclusive rights to the program in many regions such as the United Kingdom, Australia, and New Zealand. Netflix has been getting new episodes two days after they air on ABC in the United States. The first ten episodes have already aired, but like many networks, ABC has split the season up into two halves meaning these regions above are still missing the remaining ten episodes. When will the second half of season 1 be on Netflix UK? Netflix announced on its Facebook page that it’d once again follow the two-day release schedule. New episodes will air on Wednesday’s and then come to Netflix on Friday. We’ve provided a table below with the full release schedule. When will season 1 be on Netflix US? As for the United States, it’s unclear as to whether you’re going to be getting the new season. If it is coming to Netflix US it’ll likely come to Netflix just before a second season which is expected to be around the same time as season 1. That means an August/September 2017 release date is likely. Is Season 2 of Designated Survivor on Netflix? Season 2 hasn’t been officially confirmed as of yet but would be highly unlikely not to be. Once again, Netflix in the regions above would pick up new episodes a day or so after it airs in the US and would likely be split up into two halves again. This means new episodes will likely come to Netflix starting in September 2017. As for the US, it’d follow the same release schedule as we mentioned above meaning a September 2018 release date would be likely.